All children mythologize their birth. . . . So begins the prologue of reclusive author Vida Winter's beloved collection of stories, long famous for the mystery of the missing thirteenth tale. The enigmatic Winter has always kept her violent and tragic past a secret. Now old and ailing, she summons a biographer to tell the truth about her extraordinary life: Margaret Lea, a young woman for whom the secret of her own birth remains an ever-present pain. Disinterring the life she meant to bury for good, Vida mesmerizes Margaret with the power of her storytelling. Hers is a tale of gothic strangeness, featuring the Angelfield family — including the beautiful and willful Isabelle, and the feral twins Adeline and Emmeline — a ghost, a governess, and a devastating fire. Struck by a curious parallel between their stories, Margaret demands the truth from Vida, and together they confront the ghosts that have haunted them. 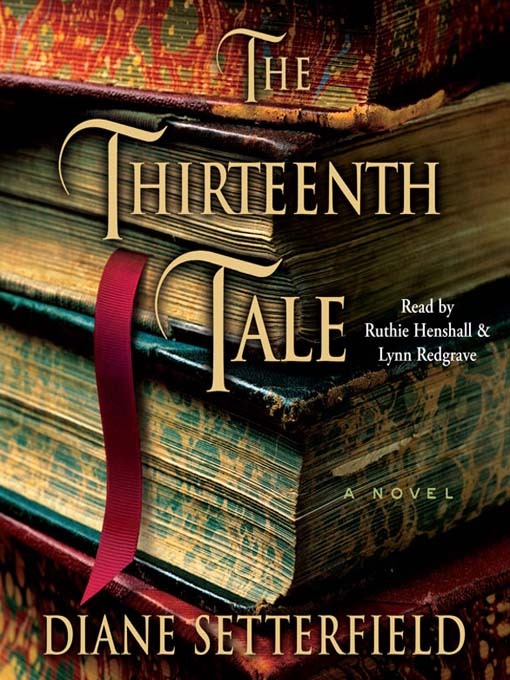 The Thirteenth Tale is a return to that rich vein of storytelling that our parents loved and we loved as children. Diane Setterfield will keep you guessing, make you wonder, move you to tears and laughter, and in the end, deposit you breathless yet satisfied back upon the shore of your everyday life.